Erik Bascome | Staten Island Advance, N.Y.
STATEN ISLAND, N.Y. — Business is booming for the Port Authority of New York and New Jersey. 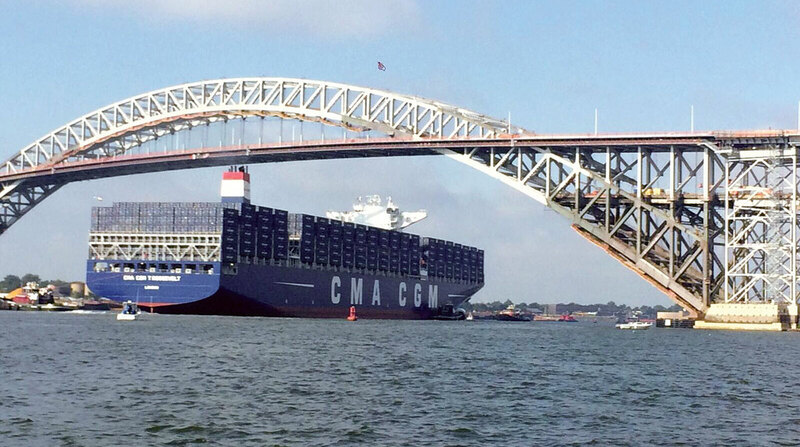 Just more than a year since the first large vessel passed under the newly raised roadway of the Bayonne Bridge on Sept. 7, 2017, the area has seen a massive boost in economic activity as a result of record amounts of cargo, according to the Port Authority. “We knew this important infrastructure project would yield tangible results as soon as it was completed, and we’ve seen those predictions realized in the first year,” Port Authority Chairman Kevin O’Toole said. The “Raise the Roadway” project, which began back in 2013, was needed to accommodate larger, 21st-century containerships that were unable to fit under the bridge’s previous configuration. “It cemented our port as the most attractive East Coast option for international shippers, and based on early returns, shippers agree and are bringing their cargo here in record volumes,” Port Authority Executive Director Rick Cotton said. Cargo volumes in the port increased by 6.4% in the first quarter of 2018, with the port setting monthly records for nine months straight. Volume for import cargo containers filled with commodities rose by 10.1% during the first four months of 2018, while the United States and East Coast averages rose by only 7.2% and 6.4%, respectively. Top 20 import commodities jumped by 11.4% during the first four months of 2018, with major increases in furniture, appliances, beverages and clothing. The raised roadway also has benefited the area environmentally, with more cargo arriving on fewer vessels. Almost 7% of vessels servicing the port were unable to do so under the previous configuration. “The port already supports 400,000 jobs and $25.7 billion in personal income wages, and we expect those numbers to grow as bigger ships and more cargo come here — thanks to the benefits from this project,” O’Toole said.